Gentle Reader, this is a reboot of an interview about steampunk fashion that I did for the steampunk fanzine Exhibition Hall. The 6 Rules Of Steampunk Fashion from someone else. 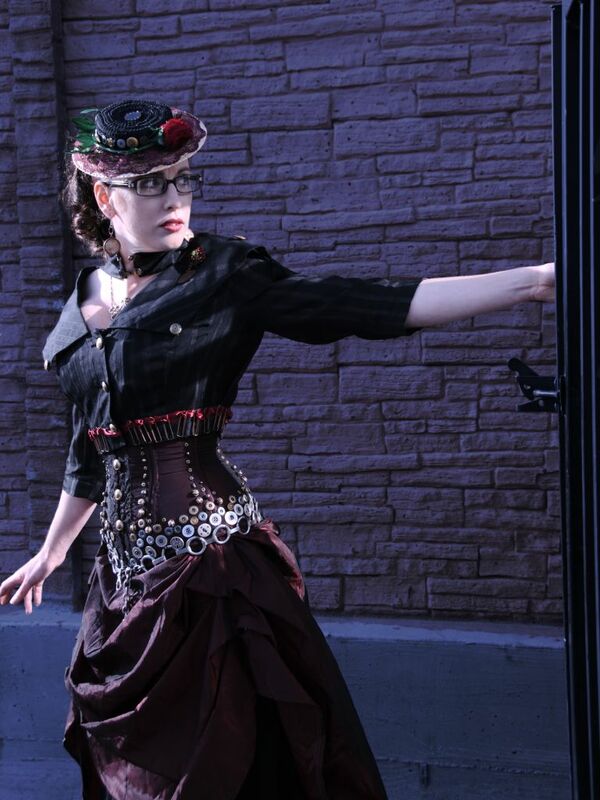 What defines Steampunk Fashion to you? How do (or do) you see fashion defining the Steampunk movement? Steampunk fashion tends to be an amalgamation of Victorian fashion with metallic industrial detailing (usually brass) and modern gothic overtones. I’ve defined it in the past as the lovechild of Hot Topic and a BBC costume drama. I do believe that the attire of steampunk is hugely relevant to the movement as a whole. It’s one of the things that sets steampunk apart from other SFF subgenres. The fashion melds a clear aesthetic with an intrinsically steampunk sense of creativity and community. 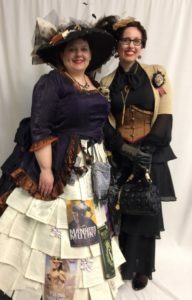 It’s true that some people are more into the literature and others more into the craftsmanship side of steampunk, but even those folks usually nod in the fashion direction with a vest, or a pair of goggles, or a newsboy cap. Where should one begin? With the Character or with the Clothing? That is really up to the wearer. I began with the clothing, but that’s because I’m not much of an actor and I simply enjoy the style above all else. 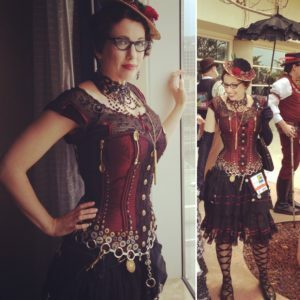 Also I incorporate steampunk into my everyday life as well as wearing full on costumes to larger events. This means I like separates and small details, like jewelry, that I can mix with “normal” garb. 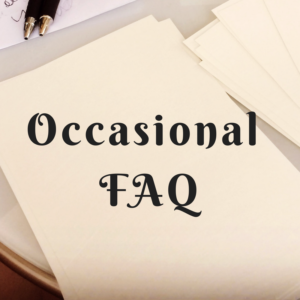 Starting with a character might work better for those who are planning on attending a faire or convention, or those who aren’t inveterate shoppers. Character or Clothing also depends on ones approach to making a costume piece. I visit vintage, army surplus, and thrift stores where I find things and then modify them to become steampunk. Most of the time these pieces then dictate the finished outfit and character. But if you are the kind of person who can work from a pattern then you have the luxury of choosing where to go from the start and thus may want to have a character in mind. What do you see as the relationship between Character and Costume? This relationship often emerges in the kinetic or mechanical aspect of a costume. Someone will come up with an awesome motorized arm, or a great mad scientist doctor self-folding kit, and suddenly a character will emerge from that one detail. I think it’s important not to become too carried away by character when still in the planning stage. I’ve known people who look endlessly for the perfect piece of costuming, yet they could have something wonderful if they were more flexible. As much as the clothing should adapt to your character, it is possible for the character to adapt to a new clothing discovery as well. 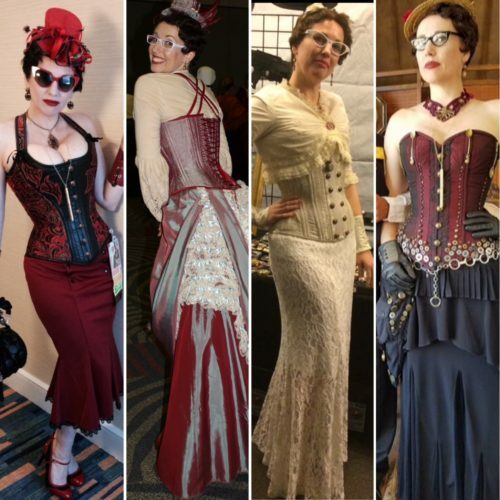 What is your best advice for someone just getting started with Steampunk fashion and characterization? Be open to the possibilities. One of my most commented upon pieces is a corset I tore apart and covered in buttons and brass spoons. Yes, spoons. People love to see the silly and the unexpected. Shop in a different area of the thrift store. For example, women’s vests sometimes also fit men and are usually more Victorian looking. The bric-a-brac section often has bendable bits of metal. Buttons can be changed, pockets can be added, sleeves removed. When you’re costuming, try to train your mind to see what a piece of clothing could be, rather than what it is. Also keep your eyes open at places like Target, Kohls, or JC Penny. Steampunk turns up unexpectedly everywhere. I also suggest watching a costume movie from the time period you are interested in, and then extrapolating. If you’re fascinated by the Austen dandy driving a high flyer, how would that character dress to drive an ornithopter? How would the engineer of a train differ from the engineer in a dirigible? How about Gaskell’s doctor who has to treat steam burns instead of cholera? If the lady is cross-dressing, why is she doing so? Does she have a profession that requires greater mobility? Is she riding the latest and greatest steam powered bicycle? What would have had to carry about her person if she were? Lastly, there are certainly elements not well represented yet in the steampunk world: minors, maids, footmen, drivers, hostlers, postmen, sailors, clerks, foreign dignitaries, cooks. Yet if we imagine a Victorian world where steam power dominates, these people are its cogs. 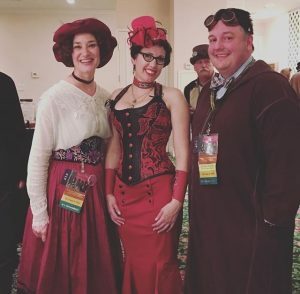 I recall you leading a panel at the California Steampunk Convention on Thrifting and Modding clothes for Steampunk – could you speak a bit about that? Oh boy can I, here you go, 29 times I give tips of steampunk fashion over on Retro Rack. 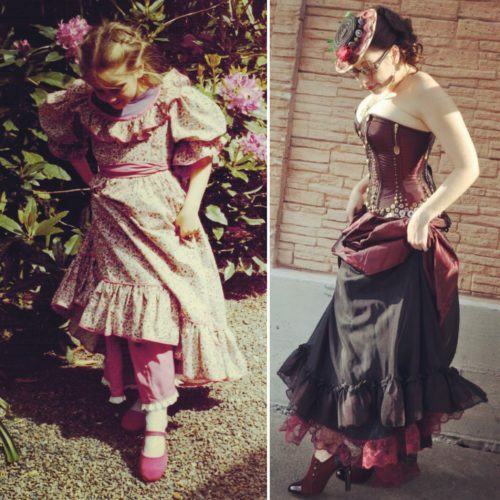 Proper Foundation Garments, Part 3: Corsets! Beyond the perhaps de rigeur goggles, what item or items, if any, do you see as quintessentially “Steampunk”? Some kind of hat or hair ornament is pretty common, anything from an embellish band to a tiny top hat or a massive a modified eyepiece. Vests, corsets, kilted up skirts, knickerbockers, and boots tend to abound. 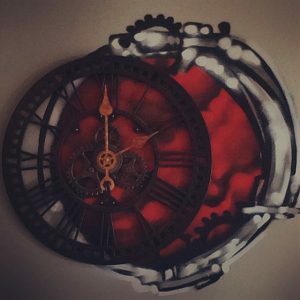 Deconstructed clocks, gears, leather bands, metal buttons, and military detailing are common as well. The color template leans in favor of brass and brown, although goth wear is still there with it’s black and silver. I always enjoy costumes that really adopt the Victorian delight in bright colors and the expansion of British trade that brought with it vibrant Indian muslins and patterned Chinese silks, but they remain comparatively rare. 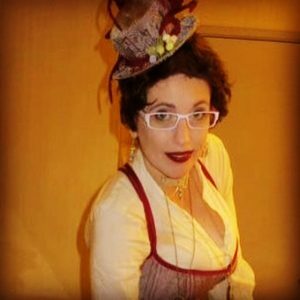 What resources can you recommend to those wanting to become more involved with the fashion side of Steampunk? The steampunk fashion group on flickr has over a thousand images that will certainly inspire. Just going on to Google Images and typing in “steampunk fashion” yields up some amazing results. And in spring of 2008 Ralph Lauren put some seriously great turn of the century style starter pieces down the runway. It’s definitely worth checking out.